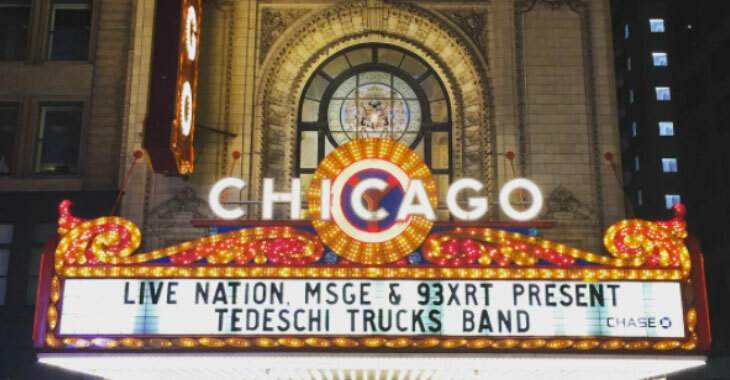 TTB are coming back to Chicago for a three night run at the Chicago Theatre on January 25, 26 & 27. January 25 features an opening set JJ Grey & MOFRO, while the following two nights are ‘An Evening With TTB’ featuring two full sets of music with no opening act. Pre-sale tickets for all three shows are available starting on Tuesday, October 17 at 10am local time. Public on-sale for all three shows starts on Friday, October 20 at 10am local time via Ticketmaster.